Her name is Gerti. That’s for for Gertrude. 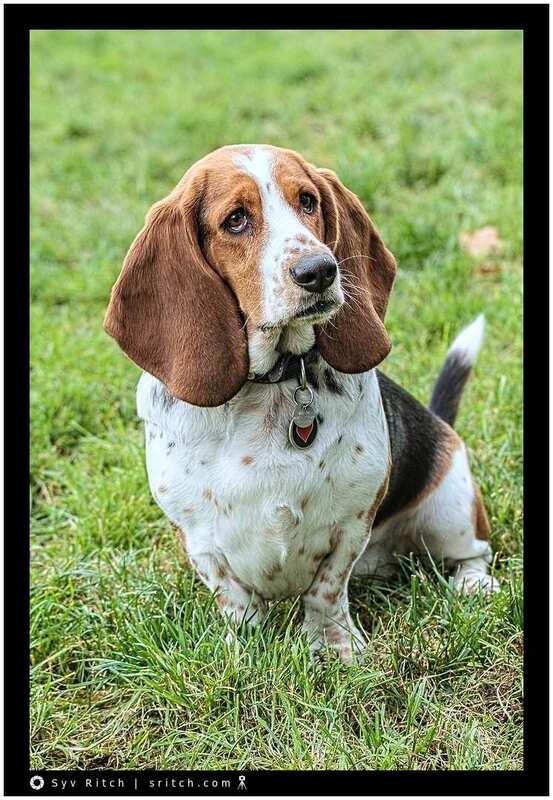 She’s not a Basset Hound! She’s a nose on 4 wheels to find food, and a stomach to eat it. BTW, she’s not looking at me but at some piece of cake that her owner is holding just above my right shoulder.